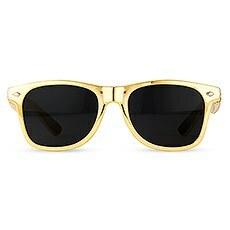 You know that when your future is bright, you gotta wear shades - so why not stock up on these fabulously fun sunglasses and hand them out to your wedding crew and party guests! Our fully-customizable sunglasses are available in different styles and shapes, as well as in a colorful rainbow of colors and finishes. You'll find gold, silver to pink, orange, black, white, blue, yellow, red and purple. 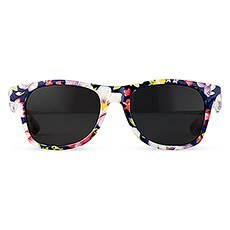 You will even find a fun, floral print that is both chic and modern. You are guaranteed to find the sunglasses that will match your party's colors, attitude and flair.Customize these high-quality sunglass favors to make them even more personal and special to give as thoughtful, useful gifts to your friends and family. 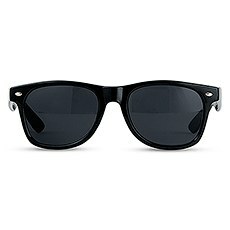 Pick the script style that you like the best to be used on the arms of the glasses - choose classic, modern or script. Match your personality and theme in the details. And don't forget to specify if you want script added to the right arm, left arm or both! 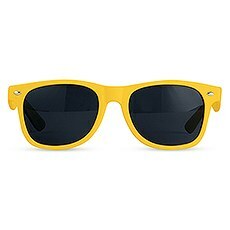 The choice is entirely up to you!Our sunglasses offer a fun, affordable favor to hand out to your guests or your bridal or groom's crew! Let everyone around you know exactly whose team you are on! 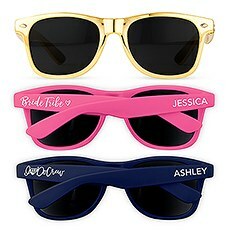 Our super fun bridal or bachelorette party sunglasses have the option of adding "bride tribe" or "I do crew" to the right or left arm. Or add these stylishly cool shades to your tables' place settings as a part of your celebration's decor - they are ideal for beach, tropical or coastal themes.These favors provide great value - our bulk prices make them an affordable gift for all your guests! 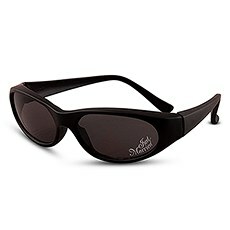 Our quality sunglasses not only look fabulous, but they protect your eyes from damaging UV rays. Block 99 to 100 percent of UVA and UVB rays with these glasses' UV 400 protection.